Please join the Department of History in congratulating History Majors Emily Adams and Clay Martinson, both 2018 recipients of the College of Arts & Science’s Outstanding Sophomore Award! Clay is an “Alabama boy” from Huntsville. He is majoring in History with a Civic Engagement and Leadership minor through New College. 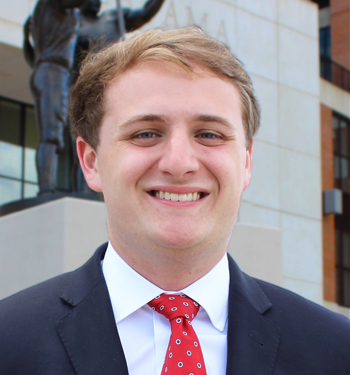 He is Associate Vice President of Student Affairs in SGA, a member of Phi Gamma Delta fraternity, co-chair of Lambda Sigma Honors Society, and has recently finished his term as Inter-Fraternity Council Chair and co-chair of the Students for Doug Jones campaign. Emily, a Texas native, is a History and International Studies double major with a minor in Social Innovation and Leadership through the University Fellows program. 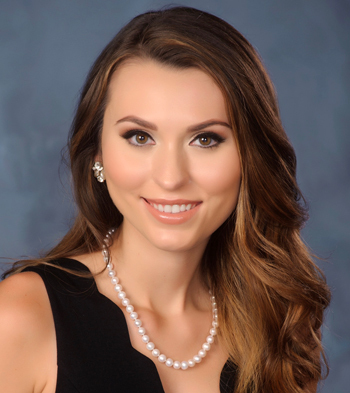 In addition to the Fellowship Program, she is an Associate Justice on the Student Judicial Board in SGA, Treasurer of Legal Research Club, PR/Communications Chair for the English Majors and Minors Association (EMMA), an Ambassador for the Honors College, and a Student Recruitment Team Member for prospective football players. Emily and Clay will be recognized at Honors Day and given a $1,000 scholarship. Congratulations, Clay and Emily!